Reader’s Digest recommends Jane Austen in motion. The Graphic Canon, Vol. 2, edited by Russ Kick, has just been released – Pride and Prejudice graces the cover! 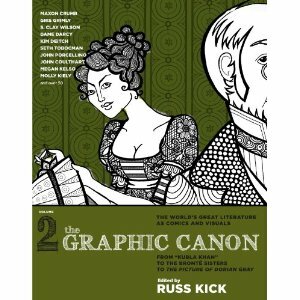 This entry was posted in Austen Literary History & Criticism, Books, Jane Austen, Jane Austen Popular Culture, Publishing History, Your Austen Library and tagged Jane Austen, Readers Digest, Russ Kick, The Graphic Canon Vol 2. Bookmark the permalink.